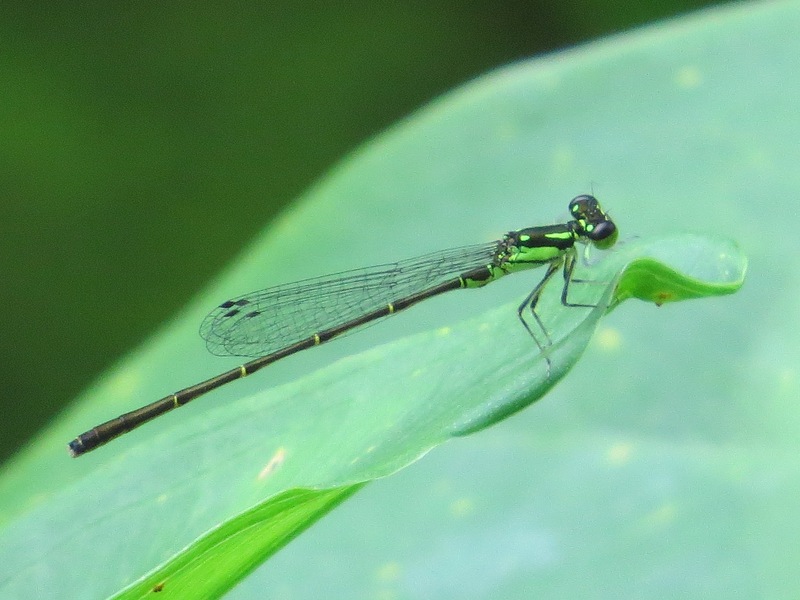 An immature female Eastern Forktail (Ischnura verticalis). Several members of of the Ischunura genus have immature females with orange on them, but telltale here: segments 1-3 are mostly orange, and that there’s no orange on segment 9. She will lose this color as she ages: the standard female form is an olive green, although there’s also a male-like female with pale green-blue details. An Orange Bluet male (Enallagma signatum). 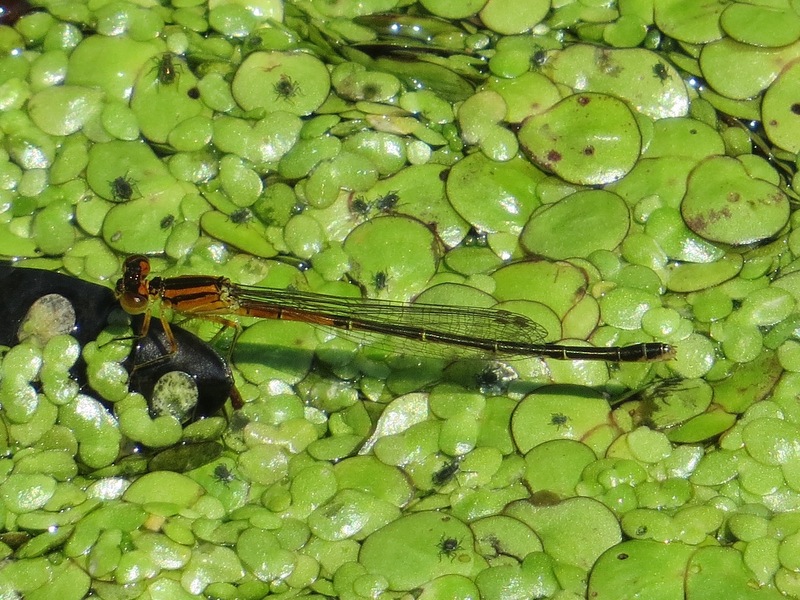 Notably about .5″ longer than the Forktail. (The duckweed here, especially in first pic, is host to a small insect that I don’t know.) Back to the inch-long specimens. This is a Fragile Forktail (Ischnura posita) male. 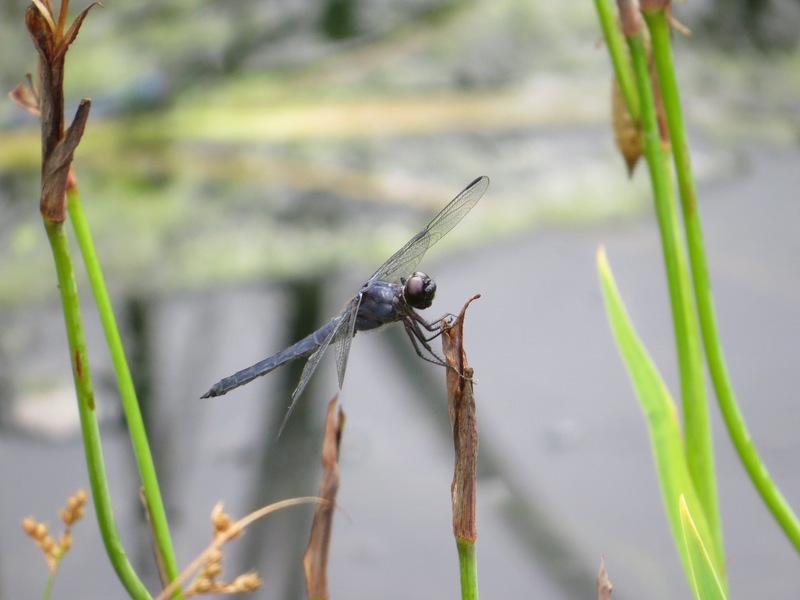 Species is distinctive in both sexes for the broken “shoulder stripe.” Slaty Skimmer (Libellula incesta) male. (About 2″ long.) 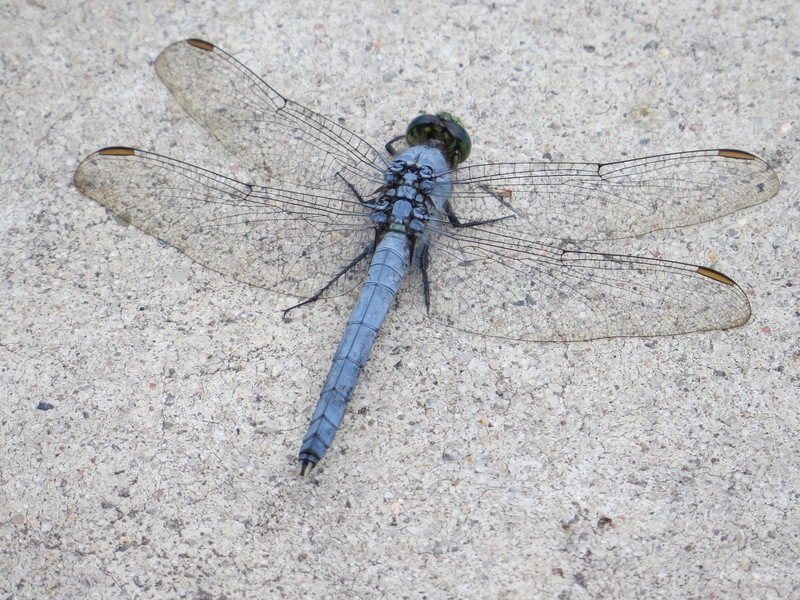 If you’re just joining us: a quick way to tell damselflies from dragonflies is that dragonflies rest with their wings spread, damselflies with their wings closed above their abdomen. 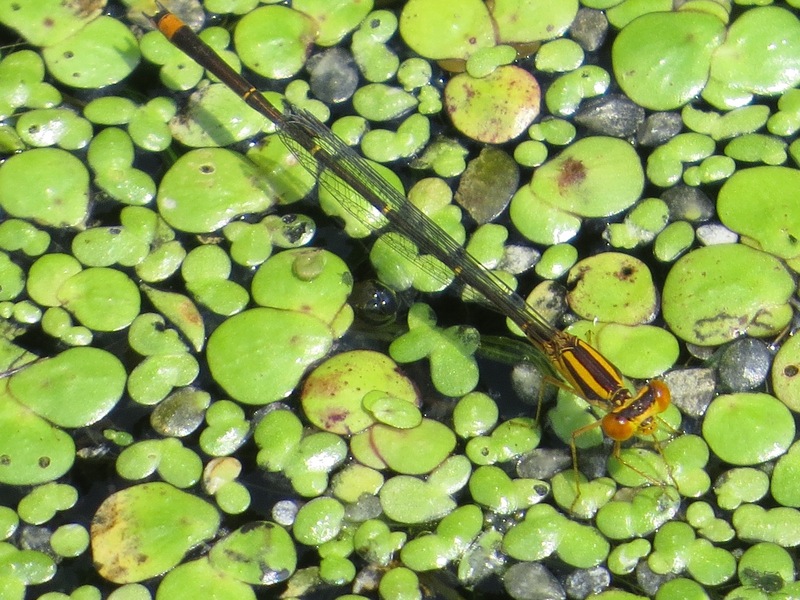 (Cavet: spread-winged damselflies; always an outlier somewhere.) The Slaty is a new species for me. Only took one picture because I wasn’t paying all that much attention: thought it might be an Eastern Pondhawk (Erythemis simplicicollis) male in different light. The Pondhawk — smaller, powdery blue, different eye color — also has notable white appendages, down there at the end of his abdomen, the parts he uses to clasp the female in the mating grip.